Dr Martyniszyn is delighted to have joined the School of Law in July 2013. Previously he was a Senior Research Fellow in the Institute for Consumer Antitrust Studies at Loyola University Chicago. He holds a PhD from University College Dublin (completed on a prestigious Ad Astra Scholarship), an LLM (with specializations in EU Economic and World Trade Law) from the Saarland University’s European Institute, three different MA degrees from the Warsaw School of Economics and a Postgraduate Certificate in Higher Education Teaching (PGCHET) from the Queen's University Belfast. Dr Martyniszyn's research focuses on various aspects of competition law and policy in international and transnational contexts, including the limits of extraterritorial jurisdiction, state involvement in anticompetitive practices as well as the challenges facing new and developing competition law systems. In broader terms, his interests lie in international economic law. Dr Martyniszyn was awarded grants by the Royal Irish Academy, the Oxford Noble Foundation and the NI Department of the Economy (the Global Challenge Research Fund). Moreover, in 2018 Dr Martyniszyn was awarded an Erasmus+ Jean Monnet grant to develop a comparative competition law module. It was the only award supporting module development in the UK under the Jean Monnet scheme that year. In the last few years Dr Martyniszyn presented his work, in various formats, in China, Croatia, Hungary, India, Indonesia, Ireland, Japan, the Netherlands, Poland, South Africa, Spain, Sweden, Switzerland, the United Kingdom, the United States. He also hed visiting appointments at the East China University of Political Science and Law (Shanghai, China) and at the University of the Witwatersrand (Johannesburg, South Africa). Dr Martyniszyn is a Council Member of the Society of Legal Scholars (SLS) and a Member of the Society's Executive Committee (appointment period: 2017-2020). He is also a Member of the Academic Society for Competition Law and of the Competition Law Scholars Forum. Furthermore, Dr Martyniszyn serves as a Member of the International Advisory Board of the Institute for Consumer Antitrust Studies at the Loyola University Chicago (US) and an Associate Member of the Centre for Antitrust and Regulatory Studies at the Warsaw University (Poland). 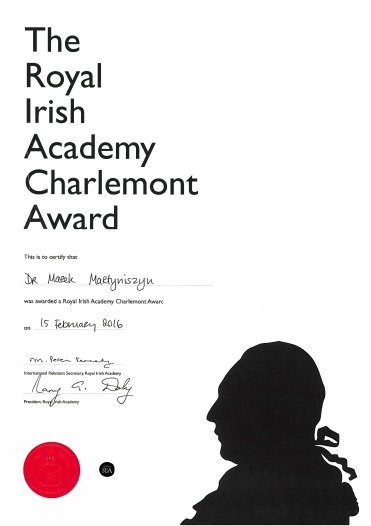 Moreover, Dr Martyniszyn is a Fellow of the Higher Education Academy. He has experience of serving as an External Examiner (in relation to a range of UG/PG modules as well as in relation to examining doctoral dissertations). Dr Martyniszyn is a Member of the Research Partnership Platform of the United Nations Conference on Trade and Development. In that framework he conducts research with particular relevance for developing countries and he has presented his work on the UNCTAD's forum several times. Furthermore, Dr Martyniszyn serves as a Non-Governmental Advisor to the International Competition Network. At Queen's Dr Martyniszyn is a member of the Academic Council (following re-election for the term 2018-2021) and he serves on both the Faculty Student Appeals Committee and the Central Student Appeals Committee. He is also a founding member and a member of the steering group of the Queen's International Staff Network. 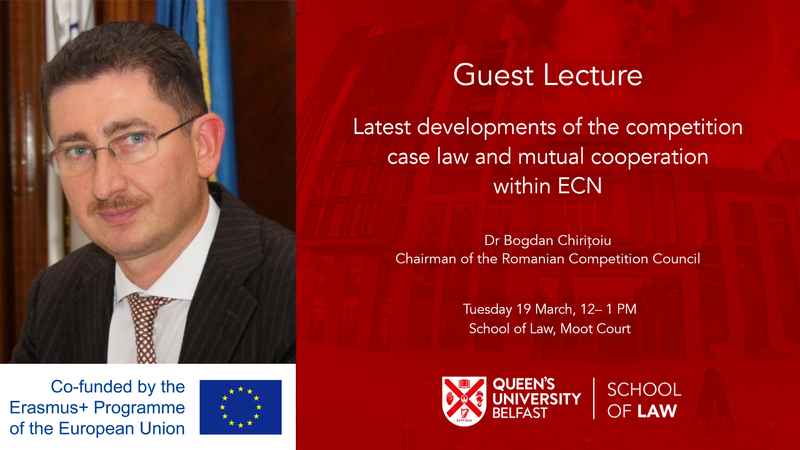 In the School of Law he is a Member of the Centre for European and Transnational Studies and serves on its Executive Committee. Furthermore, Dr Martyniszyn is the Examinations Officer in the School of Law. Dr Martyniszyn has taught Contract Law, EU Law (both Constitutional and Substantive/Economic), Competition Law, International and Comparative Competition Law, EU Competition Law, and International Trade Law. Per the School of Law policy please, arrange your appoitment using the online booking system, which is accessible via Shared Student Resources. Thank you. Kindly note that Dr Martyniszyn does not respond to 'invitations', 'requests to get connected', etc. from his current students and tutees on social and professional networking websites (such as Facebook, or LinkedIn).